It's a beautiful day here today. Please accept my best wishes for a happy and safe weekend. Evidentially there are some issues when repairing a wet device in a vacuum chamber. 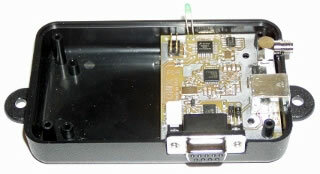 Different substances are used to bond the LCD to the glass (front plate). Some of the tape-type may retain water that cannot be removed in a vacuum. OCA – (OCA tape) Optically Clear Adhesive (Sticker but needs autoclave to remove bubbles)? I am still researching this, and will report to you when I find more definitive information. * Sublimation is the transition of a substance directly from the solid to the gas phase without passing through an intermediate liquid phase. Sublimation is an endothermic phase transition that occurs at temperatures and pressures below a substance's triple point in its phase diagram. The reverse process of sublimation is desublimation, or deposition. At normal pressures, most chemical compounds and elements possess three different states at different temperatures. In these cases, the transition from the solid to the gaseous state requires an intermediate liquid state. Note, however, that the pressure referred to here is the partial pressure of the substance, not the total (e.g., atmospheric) pressure of the entire system. So, all solids that possess an appreciable vapor pressure at a certain temperature usually can sublime in air (e.g., water ice just below 0 °C). For some substances, such as carbon and arsenic, sublimation is much easier than evaporation from the melt, because the pressure of their triple point is very high, and it is difficult to obtain them as liquids. Sublimation requires additional energy and is an endothermic change. The enthalpy of sublimation (also called heat of sublimation) can be calculated as the enthalpy of fusion plus the enthalpy of vaporization. P.S. This newsletter is made possible by contributions from readers like you. If you would like to subscribe to the newsletter just fill in the blanks in the form above, and then click on the “Subscribe” bar. Newspapers generally cost 75¢ $1.50 a copy and they hardly ever mention paging or wireless messaging. If you receive some benefit from this publication maybe you would like to help support it financially? A donation of $50.00 would certainly help cover a one-year paid subscription. If you are wiling and able, please click on the PayPal Donate button above. Whether you are replacing or upgrading your existing network or building out new infrastructure, Infostream has the new equipment and systems that you need. 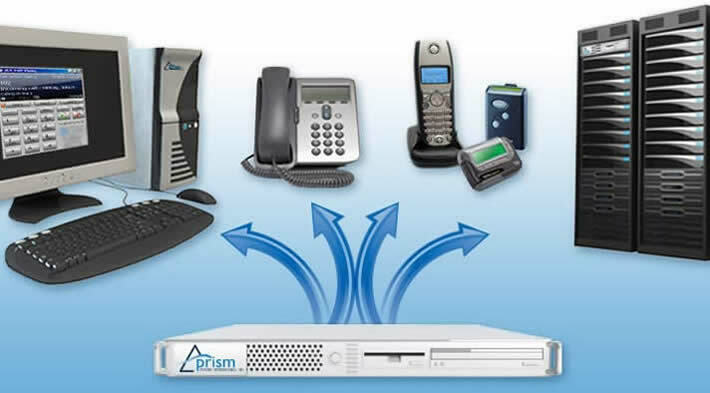 Infostream is a world leading supplier of paging and messaging infrastructure, specialized paging receivers and consultancy services. The company was founded in 1993 and has engineered and supplied equipment for some of the largest public safety networks and private paging customers around the world. SEOUL, Korea, April 24, 2014 (Korea Bizwire) — May is the month of families and this year will be no different in that so many families would take trips to the outdoors. But so many children go missing every year. According to the Ministry of Health and Welfare, the number of the missing including the mentally challenged and the elderly as well as children is 95,832 as of 2012. Yegong Inc., the company specializing in the manufacture of Wi-Fi location tracking devices, has raised a fund for 25 days between March 13 and April 7 jointly with crowd funding firm Opportune. The company successfully reached the target funding volume of 300 million won and raised a total of 324 million won. With the money on hand, the company has recently launched a smart beeper "Mamieye" that provides precise locational information based on Wi-Fi technology. With the weight of only 25 grams, the Mamieye sends out signals that can be checked through the web or mobile. 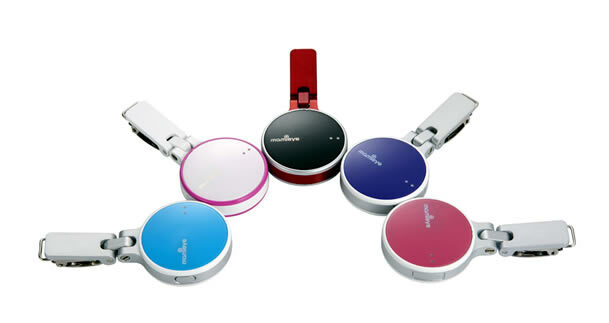 It is easy for the wearer to operate with the simple press of an emergency button. Not only suitable for children and senior citizens with Alzheimer's, it is also ideal for pets. As the device can be exported overseas, Yegong believes it can expand the market and in the future aspires to list its shares on the NASDAQ market in the United States. Kim Dong-yeon, president of Yegong, said, "The Mamieye is designed to keep children and old people from being lost. In terms of technical simplicity and price, the Mamieye is quite different from other similar products in the past. I'd like to say thank you to everyone who invested with us and I assure you the fund will be spent usefully for marketing purposes." 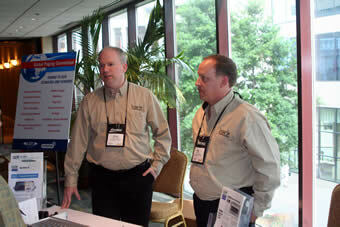 The following is contributed blog by Tim Auen, director of product management for Intrado. It is difficult to pinpoint exactly when it happened, but at some point in 2013, cell phones began to outnumber people in the United States. Sometime late this year, the number of mobile devices around the world is projected to surpass global population. Given this trend, the CTIA, FCC and FEMA initiated a joint effort to develop Wireless Emergency Alerts (WEA), a wireless version of emergency notification services. The valuable service was developed to increase public safety by capitalizing on this ubiquitous mode of modern communication. While wireless service providers carry no legal responsibility for participating in the program, they may face significant business implications for opting out. As more and more WEA messages are broadcasted around the country, customer retention could become a challenge for carriers that choose not to offer the service. 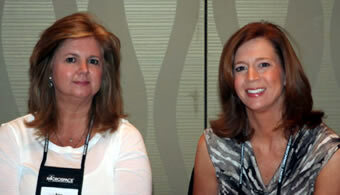 For tier 1 carriers, WEA participation is an easy decision. Smaller carriers, however, may be challenged by the cost of required technology upgrades. Intrado Cell Broadcast Service (ICBS) allows tier 2 and tier 3 carriers to deliver lifesaving WEA messaging without expensive technology upgrades and provides a way to monetize their existing networks through the use of commercial cell broadcast messages. As with any new technology service, WEA comes with significant technology requirements. The service is dependent upon specific gateways that allow the emergency alerts to be disseminated by authorities to the wireless service providers and, ultimately, end-users. Within the WEA architecture, carriers are responsible for developing, testing and deploying the Commercial Mobile Service Provider (CMSP) Alert Gateway and Cell Broadcast Center (CBC) based upon standards adopted and provided by the WEA commission. As soon as a carrier communicates to the FCC their intent to participate in WEA, they must also attest to supporting and performing various functions at their gateway relative to connectivity, authentication and validation, security, geographic targeting and message management. For most tier 2 and 3 carriers, these requirements make participation in this service technologically and economically challenging. This is unfortunate because WEA messages have played a significant role in many recent emergency events, including the Colorado floods, a Connecticut tornado and a child abduction in Minneapolis. In each of these instances, cell phone users received specific unsolicited emergency information that provided warnings, instructions and descriptions that directly saved the lives of countless people. Clearly, this is an important service that every wireless carrier should consider offering to their customers. 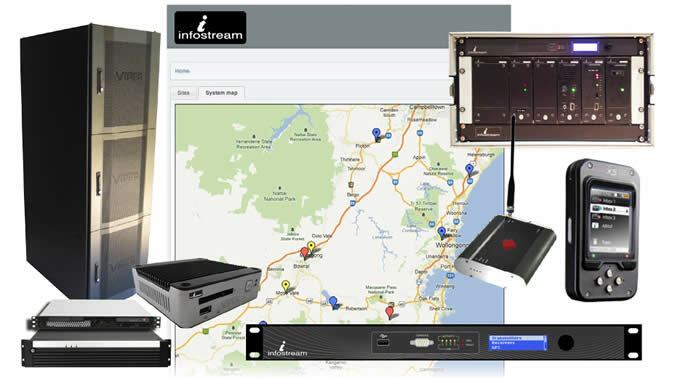 Intrado Cell Broadcast Service (ICBS) was developed to make it easy and affordable for carriers of any size to broadcast important WEA messages. ICBS is a fully managed and hosted solution that enables wireless carriers to receive WEA emergency alerts aggregated and distributed by the Federal Alert Gateways while meeting all of the requirements of the FCC Warning, Alert and Response Network (WARN) Act. Emergency alerts are delivered over the Intrado network to a carrier's cell sites located within a targeted geographic alert area. The carrier's towers then broadcast the alerts to all WEA-enabled mobile handset that are being served by that tower at the time of the alert. With ICBS, carriers do not have to make significant network investments and are not responsible for any architecture testing or security. In this way, small regional carriers can provide their customers with the same emergency services offered by tier 1 carriers across the country. In addition to the ability to deliver lifesaving WEA messages, ICBS allows carriers to monetize their network and drive revenue through the delivery of commercial cell broadcast messages. Using the same system designated for WEA messages, ICBS applies precision location technology to deliver a wide range of non-emergency messages to a geo-targeted audience. This is an exciting opportunity because it has broad applications that will allow carriers to recoup some of the cost of the WEA service. ICBS for commercial purposes is an easy-to-use, fully hosted solution. The carrier simply provides Intrado with the content details and the geographic dimension—which cell towers to utilize. Intrado then audits the content for accuracy and sends out the messages over the carrier's network based on the specifications governing the distribution of the content—when, where and who receives it. The most obvious application for commercial ICBS is location-based mobile marketing—one of the hottest new trends in retail sales. In this scenario, wireless subscribers opt into the service as a way of receiving coupons, product information, sale notifications, etc. Carriers then charge content providers (such as a retailer or a restaurant) a set fee per message sent out to customers based on their geo-targeted location. Beyond retail applications, this can be a valuable asset to small communities that want an easy way to disseminate local notifications or news items. School districts can use the service to announce school closings. The carrier itself can even utilize the solution to announce product updates or other information directed to its customers. As the world becomes more and more wirelessly connected, the role of mobile devices is expanding rapidly. We no longer think of a cell phone as a simple way to make a call. 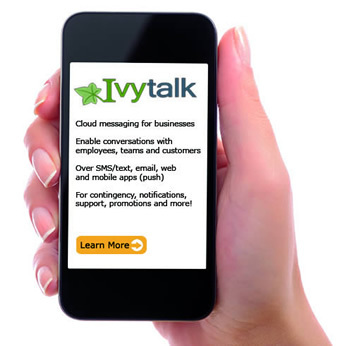 Today, it is a dynamic tool to send, receive and interact with relevant information. The Intrado Cell Broadcast Service allows wireless carriers of all sizes to take advantage of this shift in the marketplace. 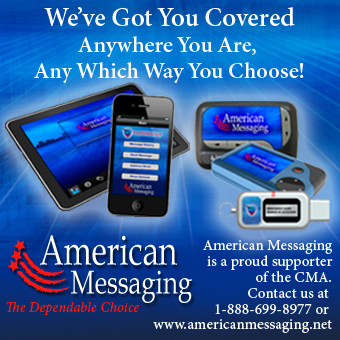 This important service provides carriers with an easy and affordable way to deliver both emergency and commercial messages to their customers without the need for costly network investments. We treat our customers like family. We don't just fix problems . . . We recommend and implement better cost effective solutions. QT-250 B high-band transmitter with an analogue exciter and instruction book. Don't really need the rack. Looking for something to run a couple hundred watts on the 2 meter ham band. 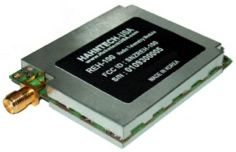 Hark Verifier or a Hark Verifier II and Icom IC PCR 100 receiver. I am looking for a midband (72-76mHz) link repeater. The only manufacturer I can find who is currently producing and supporting a midband repeater is RF Technology in Australia http://rftechnology.com.au/ (Eclipse T70/R70). Your thoughts/suggestions on this would be greatly appreciated. If you have any equipment that you would like to buy or sell, please send me an e-mail and I will include it in the classified section above. If a sale is made I ask the seller to send me a 10% commission, much the same as the voluntary payments that are requested on the Internet for shareware. There is no cost to the buyer. This is on the honor system — no contracts — just the Internet equivalent of a hand shake. The end is nigh. Or is that a new beginning? Either way you look at it, Microsoft on Monday announced that its $7 billion acquisition of Nokia's phone business will finally close this Friday, April 25, after regulatory delays slowed the deal . Microsoft general counsel Brad Smith also revealed some additional agreements hammered out in the months since the acquisition's announcement. Most revolve around behind-the-scenes personnel and manufacturing details, but of particular note is that Microsoft will handle the nokia.com website and Nokia's social media presence for up to a year, despite the fact that the rest of Nokia is carrying on as a separate company. Stephen Elop, the Nokia CEO who arrived at the company by way of Microsoft, will return to the Redmond company as part of the deal, where he will assume control of Microsoft's hardware division. He's just one of approximately 32,000 Nokia employees making the jump to Microsoft. Microsoft's Nokia buyout comes in the middle of a gargantuan shift for Microsoft, which—in addition to recently replacing its CEO —is transitioning from a traditional software company to something more device- and services-oriented . While both Nokia's Lumia line and Windows Phone as a platform have struggled to compete with the dual Android/Apple mobile juggernaut, Microsoft has said that phones are the key to everything in today's tightly controlled ecosystems. While we're skeptical that buying Nokia will pay off for Windows Phone's prospects, the hard-won lessons that the intensely consumer-focused Nokia can teach Microsoft could help transform the business that Bill Gates built into something great again, one Nokia phone at a time . Windows Phone itself is on the upswing right now, at least in the hearts and minds of developers, if not everyday users. At its recent Build conference, Microsoft announced a trio of announcements designed to drive a jolt of energy into its mobile ecosystem, starting with the vastly improved Windows 8.1 update , which adds a much-needed notification center and Cortana, the surprisingly useful digital assistant . Between those and the numerous other features baked into the update, Windows Phone is finally a full-fledged OS capable of taking on Android and iPhone—at least as far as the core experience is concerned. In other words, Windows Phone 8.1 finally provides a level of software polished enough to match well with Nokia's impeccable hardware designs. Microsoft also announced universal Windows apps , which allow developers to create a single app, then easily push it out across Windows Phones, PCs, and tablets, complete with the option for users to buy the app once and have it run on any platform. The first of those have already begun appearing in Microsoft's app stores . Microsoft also now provides the Windows Phone operating system for free to phone manufacturers, as well—a move that can both push WP8 adoption and quell any discontent about Microsoft snapping up Nokia. With all the focus on Windows Phone, though, one big question remains: What will Microsoft do with Nokia's recently announced Nokia X phones , which run on a heavily modified version of Android chock full of Microsoft services? Given Microsoft's newfound services focus—as exemplified by Office for iPad — Microsoft may just let the experiment play out , at least for a while. It is not difficult to realize that the Internet is getting faster every year, and to many, that's a good thing. Consumers will be able to download files faster and stream content more smoothly in full 1080p HD. However, this speed boost also benefits hackers, as attacks on websites have risen sharply. In the United States, the average Internet connection speed reached 10 Mbps, which is a gain of 2 percent since the previous quarter. Canada, on the other hand, reached 9 Mbps, a gain of 1.5 percent over the previous quarter. When it comes to Mexico, the average Internet connection in that country has grown to 4 Mbps, which is a growth of 2.9 percent, to become the highest-growth country in the Americas for the past quarter. When it comes down to which state in the U.S. has the highest average Internet connection speed, Virginia takes the cake with 14.4 Mbps. In addition, the state has the largest quarter-over-quarter Internet speed growth of 11 percent. This means that if you want the fastest Internet speed in the United States, you might want to move yourself to Virginia. According to Akamai, a leading content delivery network, connection speeds globally have grown by 38 percent when compared to the fourth quarter of 2012. The global average Internet speed now sits at 3.8 Mbps, with South Korea as the country with the highest average speed of 21.9 Mbps. "We've reached a significant milestone in the improvement of average connection speeds," said David Belson, editor of the State of the Internet Report. "The fact that all of the top 10 countries/regions' average connection speeds are now at or exceeding the high broadband threshold -- and continued strong growth in countries like South Korea and Ireland -- is indicative of the progress that's being made in broadband penetration. It's reasonable to expect these promising trends will continue to be reflected in future reports." That's all good news, and we should be screaming for joy, but nothing is never that simple, unfortunately. Akamai also reports that hacking on the Web has risen substantially, and most of these actions have originated from China. DDoS (distributed denial of service) attacks have risen by 75 percent in the fourth quarter of 2013 when compared to the previous year. In addition, DDoS attacks were up 23 percent in the previous quarter. In 2013 alone, Akamai customers reported a massive 1,153 DDoS attacks, which is a 50 percent increase from the smaller number of 768 attacks recorded in 2012. In the final quarter of 2013, 241 of the 1,153 attacks were directed at the commerce and enterprise industry. Less than half were aimed at websites based in America. 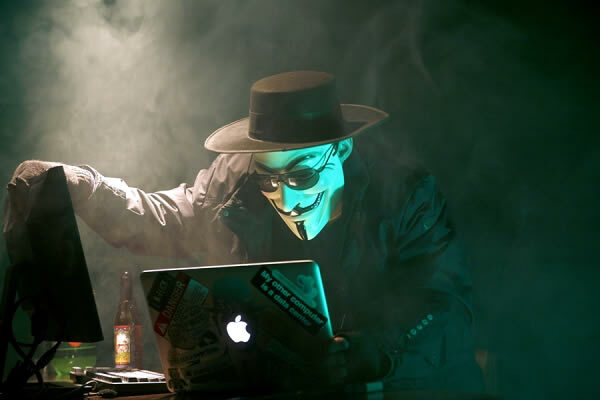 In the final quarter of 2013, China was the IP source for 43 percent of all DDoS attacks, the United States followed with 19 percent, while Canada sits close behind with 10 percent. "Akamai maintains a distributed set of unadvertised agents deployed across the Internet to log connection attempts that the company classifies as attack traffic," according to a report from the company. "Based on the data collected by these agents, Akamai is able to identify the top countries from which attack traffic originates, as well as the top ports targeted by these attacks." Selected portions of the BloostonLaw Telecom Update, and/or the BloostonLaw Private Users Update — newsletters from the Law Offices of Blooston, Mordkofsky, Dickens, Duffy & Prendergast, LLP are reproduced in this section with the firm's permission. Given that Verizon has completed its 4G LTE roll-out, and AT&T will complete its 4G LTE roll-out by the end of 2014, the Further Rulemaking will re-evaluate Phase II of the Mobility Fund. In particular, the FCC will consider whether it should focus on the 2% of the U.S. population that will not have access to LTE, and, if so, how a re-focused Mobility Fund should work. The FCC will also consider whether and how the phase-down of competitive eligible telecommunications carrier ("CETC") identical support should be adjusted. We reiterate that the Open Meeting discussions and New Release were relatively general, and that some of the expected decisions and proposals may have changed as a result of internal FCC discussions and negotiations during the Sunshine Period. BloostonLaw will be watching carefully for the release of the actual FCC document, and will update this report as soon as possible thereafter. In the days leading up to today's open meeting, during which the FCC will consider a report, order, and further notice of proposed rulemaking (FNPRM) in the USF/ICC reform proceeding, a number of parties met with the FCC to discuss various issues related thereto. On April 11, AT&T met with Wireline Competition Bureau (WCB) staff to argue that the eligible telecommunications carrier (ETC) rules that applied in the legacy USF environment must be changed at the same time that Phase II of the Connect America Fund (CAF) is implemented, and that ETC designations and obligations must be limited only to areas eligible for support and to those providers who willingly accept and receive that support. On April 14, representatives from Frontier, Windstream, Verizon, AT&T, CenturyLink, Hawaiian, FairPoint and USTelecom met with Chairman Wheeler's legal advisor and with Wireline Competition Bureau staff, where they discussed concerns about a possible increase in the broadband speed requirements for CAF Phase II, and provided suggestions on how to compensate for any such potential increase. That same day, representatives from ITTA and TDS met separately with legal advisors for Chairman Wheeler and Commissioner Rosenworcel to express similar concerns. On April 15, NTCA met with Chairman Wheeler's legal advisor to encourage the FCC to implement updates to the existing high-cost rules for areas served by rural, rate-of-return-regulated local exchange carriers as soon as possible. Specifically, NTCA discussed how updates must ensure recovery for both prior investments and future investments; and discussed its previously-submitted proposal to update legacy universal service rules in response to consumer demands for broadband. On April 16, CenturyLink met with Commissioner Rosenworcel's legal advisor to voice concerns about a potential increase in broadband speed requirements for CAF Phase II. Also on April 16, Charter Communications met with staff for Commissioners O'Rielly and Pai to oppose a proposal to make partially served census blocks eligible for CAF Phase II funding. The report, order, and FNPRM will not be available in time for review before this edition of the BloostonLaw Telecom Update goes to press, but carriers should look for these issues to be addressed when it comes out. FCC Adopts Proposal to Allocate 150 MHz of Spectrum to "Citizens Broadband Radio Service"
The Federal Communications Commission today set forth its proposal to provide more spectrum for general consumer use, carrier-grade small cell deployments, fixed wireless broadband services, and other innovative uses, through the creation of a new Citizens Broadband Radio Service. The Commission is proposing rules for the Citizens Broadband Radio Service in a Further Notice of Proposed Rulemaking (FNPRM) (FCC 14-49) that advances the Commission's efforts to meet the growing demand for spectrum by proposing to make 150 megahertz available in the 3.5 GHz Band. The FNPRM proposes innovative spectrum sharing techniques to unlock the value of the spectrum between 3550 MHz and 3650 MHz, and seeks comment on extending the proposed service to the 3700 MHz band. 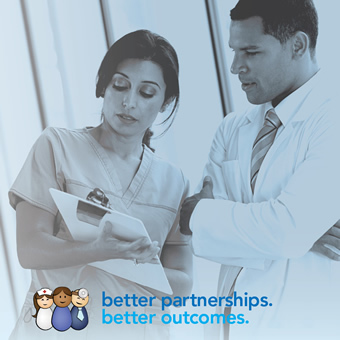 Specifically, the FNPRM proposes a three-tiered access and sharing model comprised of federal and non-federal incumbents, priority access licensees, and general authorized access users. Together, the proposals seek to promote flexibility and innovation by leveraging advancements in technology to facilitate sharing between different users and uses, including incumbent government uses. Federal and non-federal incumbents would be protected from harmful interference from Citizens Broadband Radio Service users. Targeted priority access licenses would be made available for a variety of uses, including mobile broadband. General authorized access use would be permitted in a reserved amount of spectrum and on an opportunistic basis for a variety of consumer or business-oriented purposes, including advanced home wireless networking. Access and operation within the 3.5 GHz band would be managed by a spectrum access system, a dynamic database or databases that incorporates technical and functional requirements necessary to manage access and operations across the three tiers. In addition, the FNPRM seeks comment on technical, auction, and allocation rules. We will provide additional information about the FCC's proposal once the text of the Further Notice of Proposed Rulemaking is released. On April 21, 2014, the Small Company Coalition (SCC) filed an updated summary , in the form of a PowerPoint presentation, of its alternative universal broadband service proposal. The SCC said its proposal works similar to the previous HCLS-algorithm but includes broadband-centric cost study categories that would result in cost recoveries via CAF-related broadband funding. No Retroactive Rulemaking. Ensure that Rate-of-Return (RoR) carriers have the opportunity to recover properly incurred capital and operating costs prior to a date certain. No Unfunded Mandates. Funding for new investment must be commensurate with any obligations imposed. Predictable and Sufficient Funding. Any new broadband recovery mechanism should clearly define how funding for new investment will be recovered and ensure that funding is sufficient to recover the cost to be supported under the plan. Understandable Mechanisms. Any proposed industry plan should be transparent, relatively simple in concept and mechanics, and quantifiable as to its impact on carriers. Comparable and Affordable Services for Rural Consumers. The plan should seek to ensure rural areas have access to broadband at terms, rates and conditions comparable to urban areas within the budget parameters of the Universal Service Fund. Support would only be available to 1) build-out to customers without adequate availability to broadband service from a competitor, and/or 2) maintain a broadband-centric network, thereby insuring efficient use of fund resources. The updated summary also includes an outline of the mechanics of SCC's proposal, as well as a discussion of the proposed capping mechanism. Because of substantial delays in implementing Mobility Fund Phase II, both the Competitive Carriers Association (CCA) and the Rural Wireless Association (RWA) have requested the FCC to clarify that it will not phase-down USF support for high-cost wireless carriers as of July 1, 2014. In an April 14, 2014 letter to FCC Chairman Tom Wheeler, RWA asked that the FCC immediately halt its planned phase-down of USF support for high-cost wireless carriers, citing to the substantial likelihood that Phase II will not be "operational" or "implemented" by June 30, 2014. The Commission's rules currently state that the phase-down of legacy USF support will halt if the Mobility Fund Phase II has not been implemented by June 30, 2014. Language in the USF/ICC Transformation Order also states that the phase-down will be halted if Phase II is not "implemented" by June 30, 2014. "Continuing the phase-down without an opportunity to access funds through a Mobility Fund II mechanism is inconsistent with the universal service principles of Section 254—including the directive that the Commission provide "specific, predictable and sufficient" support," wrote RWA. Likewise, the CCA sent a letter to Chairman Wheeler on April 15, 2014, asking that he enforce the Commission's prior decision to pause the phase-down of legacy support for wireless providers at 60 percent on June 30, 2014, until the Mobility Fund II is operational. "Continuing the phase-down without an opportunity to access funds through a Mobility Fund II mechanism is inconsistent with the universal service principles of Section 254—including the directive that the Commission provide "specific, predictable and sufficient" support," wrote CCA. As part of the same filing, CCA also urged the FCC to eliminate a right-of-first-refusal ("RoFR") for price-cap carriers in the CAF Phase II, which it views as discriminatory. If the RoFR is not eliminated, CCA said the Commission should prohibit price-cap carriers who decline the RoFR from having a second chance at competing for the funding as wireless providers. CCA said as voice and broadband customers continue to migrate to wireless platforms, the continued evisceration of USF support for wireless providers will exacerbate the growing digital divide between urban and rural areas, putting rural consumers at risk of receiving lower-quality and less affordable services. The U.S. Supreme Court, on Tuesday, heard oral argument in ABC et al. v. Aereo , a case that could have far-reaching implications for the entertainment industry. Aereo is a small start-up based in New York City, founded by its CEO, Chet Kanojia, in 2012. Its technology uses multiple tiny antennas that pick up over-the-air broadcast signals which are then fed to a digital video recorder (DVR). Each of its subscribers is temporarily assigned an antenna and a virtual DVR which then streams the program of the subscriber's choosing to a TV, smartphone, tablet or computer for viewing contemporaneously or at a later time. The technology is, in effect, cloud based in that the TV programming is stored online and then viewed by the subscriber over the Internet. Aereo's service is currently being provided in 13 urban markets for about $8 a month. TV broadcasters claim that this constitutes infringement of their copyrighted program material, plain and simple. They rely on Congressional action in enacting the Copyright Act of 1976, bestowing on copyright holders an exclusive right over transmissions of their work to the public "by means of any device or process, whether the member of the public capable of receiving the performance or display receive it in the same place or in separate places and at the same time or at different times." This, claim the broadcasters, makes it clear that Congress meant to include services like those provided by Aereo, which deliver TV programming to the public, even though individual subscribers may receive those transmissions at different times and places. Not so fast says Aereo, which claims that the subscriber is simply using his or her own cloud-based antenna to receive free broadcast programming and then recording that on a cloud-based DVR. Recording free TV broadcasts was given the green light in the famous Sony Betamax case in 1984 in which the Supreme Court upheld the use of video cassette recorders to record programming for viewing at a later time. So, the only remaining question, according to Aereo, is whether the transmission from the subscriber's own virtual DVR to a TV, smartphone, tablet or computer should be considered a "public performance" that copyright holders have the right to control or, as Aereo claims, a private performance since the final transmission occurs only if and when determined by the subscriber for strictly private viewing. This is the question currently before the Supreme Court. At the oral argument on Tuesday, several of the justices appeared skeptical questioning whether Aereo had come up with an engineering achievement or merely a technical workaround to bypass the copyright laws. The justices questioned the parties at length about the definition of public and private performances in copyright law and how Aereo differs from cable, satellite and other video suppliers that pay broadcasters retransmission and other license fees. The Court's decision in the case could have far-reaching implications. The broadcast industry will likely lose out on a lot of revenue if Aereo is allowed to avoid paying retransmission fees and more of the public start watching TV on Aereo instead of on cable. Likewise, other suppliers of cloud-based services are concerned about the effect a decision might have on their businesses. The Court's decision in the case is expected in June. On April 17, the Wireline Competition Bureau issued a Public Notice announcing the availability of Version 4.1.1 of the Connect America Fund Phase II Cost Model. According to the Notice, CAM v4.1.1 incorporates "minor corrections" to the model's broadband coverage and a number of technical changes that "do not have a material effect on the funding levels previously released by the Bureau." Specifically, CAM v4.1.1 corrects the broadband coverage for approximately 5400 census blocks to reflect the fact that these census blocks are not served by a fixed wireless provider. CAM v4.1.1 also contains updates to the TelcoMaster table to incorporate corrections to certain holding company names. Finally, CAM v4.1.1 modifies certain headers and field descriptions on two CAM reports. CAM v4.1.1 is available at http://www.fcc.gov/encyclopedia/caf-phase-ii-models or https://cacm.usac.org/ . However, according to the Notice, parties must execute the relevant acknowledgement of confidentiality, licensing, and nondisclosure documents in order to access the model at either site. The State of Georgia is struggling through a process that may play out in many states, namely, trying to figure out the best way to facilitate the rapid deployment of wireless broadband, including the need for more towers to accommodate the intensive use of spectrum caused by smartphones, tablets and other broadband devices. Members of the Georgia State legislature drafted the" Mobile Broadband Infrastructure Leads to Development (BILD) Act" (HB 176), which would streamline the approval process for broadband deployment, particularly where collocation on an existing antenna structure is involved. A shot clock would be imposed on zoning and other processing of new facility applications, and an even shorter deadline on processing of collocations. Limits would be placed on the amount of information that can be required of applicants. The bill justifies its proposed measures as necessary to spur economic through the deployment of broadband, and to create broadband infrastructure that will benefit the public safety community. However, the bill failed to come up for a vote in this session of the Georgia legislature. "We will address the city and county governments [concerning the bill] right after the session is over and make sure they have the factual information," Parsons told AGL Bulletin magazine, noting that Georgia has many communities that need wireless infrastructure to support economic development. "HB 176 … would seriously impair the ability of local governments to protect the public from the siting and expansion of towers in locations that are not ideal, or even appropriate, for towers," according to a GMA talking points paper. GMA also argues that the bill contains a false promise it will not adversely impact local control of the tower zoning. "By limiting what zoning boards and local governments can consider, HB 176 would override the standards used by communities to determine whether a particular use is appropriate on that property and compatible with surrounding uses," according to GMA. "While HB 176 says it would allow zoning to apply, it doesn't. HB 176 is special treatment, not equal treatment." Parsons is skeptical of the motives of the municipalities, noting that they have a vested interest in drawing out lease negotiations city-owned property: "The longer they can draw out the negotiation process, the more leverage they have to drive up the rental fee for their property". Opposition also came from the County of Fulton, which has sent a resolution to the Georgia legislature stating that the legislation would take away its decision-making capability. "HB 176 would eliminate the zoning protections cities currently have to regulate the size of existing towers. For instance, a small cell tower could be dramatically increased in height and width without any zoning oversight," Fulton said. "HB 176 would prevent a city from imposing height limitations on a new tower. A city would not be permitted to request that the applicant build two lower towers rather than one higher tower." This objection seems to ignore language in the bill that applies the streamlined approval process only to situations where the broadband deployment would not increase the height of a previously approved tower, or the size of the "equipment compound." The bill's sponsors have already made changes in the bill aimed at addressing municipalities' concerns. For example, they removed a passage that would have required them negotiate a price [to lease the land] based on fair-market value. The twists and turns of the Georgia bill could inform similar efforts in other states, as wireless carriers seek to keep up with competition and respond to consumer demand by deploying their broadband facilities as quickly as possible. Telecompetitor is reporting that former FCC Chairman Julius Genachowski (2009-2013) has joined the Board of Directors of Syniverse, a company that provides a cloud-based platforms and services for mobile service providers, ISPs and app providers. Genachowski is currently a Managing Director in the Carlyle Group's U.S. Buyout team, where he focused on acquisitions and growth investments in global technology, media and telecom, including Internet and mobile. Syniverse President and CEO Jeff Gordon said he looks forward to working with Genachowski and believes his extensive experience overseeing mobile and telecom initiatives will benefit Syniverse greatly. Genachowski, who has held senior leadership positions in the private sector for more than a decade, said he is honored to join the Syniverse board. After recently paying an undisclosed sum to internet service provider Comcast in order to "interconnect" and thereby better serve its streaming video customers, the Washington Post is reporting that Netflix has come out in opposition of the upcoming Comcast / Time Warner Cable merger. In a recent letter to shareholders, Netflix CEO Reed Hastings and CFO David Wells wrote that the merger would create "a single company with too much power over the broadband Internet market. Combined, Comcast and Time Warner Cable could control as much as half of all broadband Internet subscriptions, with most of those homes having no alternative options for broadband service providers." "Comcast is already dominant enough to be able to capture unprecedented fees from transit providers and services as Netflix," continued the letter. "The combined company would possess even more anti-competitive leverage to charge arbitrary interconnection tolls for access to their customers. For this reason, Netflix opposes this merger." In a statement, Comcast spokeswoman Jennifer Khoury, a senior vice president, responded: "Netflix's opposition to our Time Warner Cable transaction is based on inaccurate claims and arguments. There has been no company that has had a stronger commitment to openness of the Internet than Comcast." Apr. 23 – Reply comments are due on Extension of Freeze of Separations Category Relationships and Cost Allocation Factors. Apr. 25 – Comments are due on Grain Management, LLC Petition for Clarification. May 1 – FCC Form 499-Q, Telecommunications Reporting Worksheet is due. May 9 – Reply comments are due on Grain Management, LLC Petition for Clarification. May 29 – Comments are due on the short form Tariff Review Plans. May 31 – FCC Form 395, Employment Report, is due. Jun. 16 – ILEC Tariff filings made on 15 days' notice are due. Jun. 23 – Petitions to suspend or reject tariff filings made on 15 days' notice are due. Jun. 24 – ILEC tariff filings made on 7 days' notice are due. Jun. 26 – Replies to petitions to suspend or reject tariff filings made on 15 days' notice are due. Jun. 26 – Petitions to suspend or reject tariff filings made on 7 days' notice are due. Jun. 27 – Replies to petitions to suspend or reject tariff filings made on 7 days' notice are due. Jul. 1 – FCC Form 481 (Carrier Annual Reporting Data Collection Form) is due. Jul. 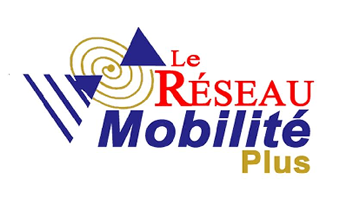 1 – Mobility Fund Phase I Auction Winner Annual Report is due. 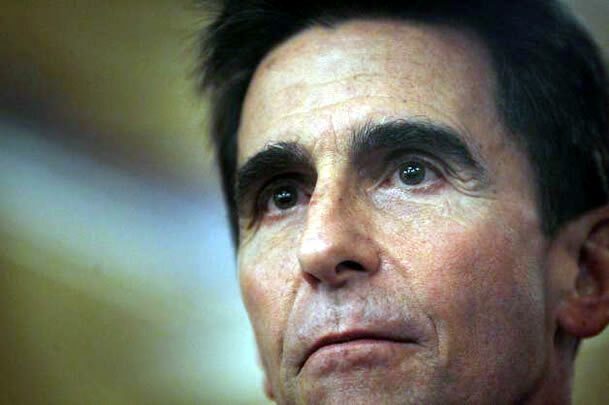 Senator Mark Leno said powerful and deep-pocked wireless communications industry killed his bill requiring anti-theft technology on smartphones. California state Sen. Mark Leno said a powerful and deep-pocketed wireless communications industry killed his bill requiring anti-theft technology on smartphones. Despite support from law enforcement, including adamant backing from San Francisco District Attorney George Gascón, the bill requiring kill switches on mobile devices fell two short after nearly all Republicans and several Democrats voted against it, including Sens. Jim Beall, D-San Jose; Ricardo Lara, D-Bell Gardens; and Norma Torres, D-Pomona. Leno said he brought the bill up for a vote Thursday believing he had the necessary 21 votes. "When that kind of force comes up against a public safety issue, one would hope and believe there would be votes there to protect public safety and not the interests of the powerful special interests," Leno said. "We aren't giving up." Leno asked for the bill to return in the coming weeks for a second vote in the Senate. SB962 would require that smartphones have kill switches as a way to deter thieves. The anti-theft tool allows users to remotely erase their personal data and render phones inoperable if they are lost or stolen. If a phone is recovered, the owner can turn it on and restore data. The wireless industry trade group CTIA has fought kill-switch technology on cell phones until this month, when the group announced it would offer the feature as an optional tool. The biggest smartphone makers and wireless carriers said they would begin offering an opt-in kill switch on devices made after July 2015. CTIA remained opposed to Leno's bill, which would have required kill switches to be installed and turned on, with the owner having the ability to deactivate the tool if desired. Leno said the opt-out method would increase the number of phones enabled with the technology, a pivotal factor in deterring thieves. Many saw CTIA's move to voluntarily offer kill switches as a way to thwart a landslide of support for legislation requiring the technology. On a national level, both the House and Senate have bills mandating kill switches. As the value of smartphones has increased, so has the violence used in crimes targeting the devices, which can command several hundred dollars each on the black market. More than 1.6 million Americans had smartphones, tablets or other devices stolen in 2012, according to Consumer Reports. Gascón said two-thirds of the robberies in San Francisco involve a cell phone or tablet, up from half the crimes in 2012. Some companies already offer the technology on a voluntary opt-in basis, while others have characterized kill switches as technically unfeasible, prohibitively expensive or rife for abuse by hackers. Leno said the real push back to kill switches is in the billions of dollars the wireless industry pulls in by selling insurance for smartphones that are lost or stolen. Consumers overwhelmingly said carriers should allow consumers to disable stolen phones, according a survey of 1,200 users by William Duckworth, a statistics professor at Creighton University. "Today's decision by the State Senate is disheartening given the rampant rate of victimization," Gascón said in a statement. "With their no vote, 17 members of the Senate chose to protect billion dollar industry profits over the safety of the constituents they were elected to serve." This is a September 1953 photo of Mr. Norm Krim, then a vice-president at Raytheon for the Receiving Tube and Semiconductor division. He is shown holding a box of CK722 transistors which were destined to be shipped to Radio Shack Corp, representing the first distributor shipment of commercial transistors by any manufacturer. Norman Krim holding some early transistors. He first put transistors into hearing aids. Norman Krim, an electronics visionary who played a pivotal role in the industry's transition from the bulky electron vacuum tube, which once lined the innards of radios and televisions, to the tiny, far more powerful transistor, died on Dec. 14 in a retirement home in Newton, Mass. He was 98. The cause was congestive heart failure, his son Robert said. But he saw the device's potential and persuaded his company to begin manufacturing it on a mass scale, particularly for use in miniaturized hearing aids that he had designed. Like the old tube, a transistor amplifies audio signals. That was just the start. "Now there are over 50 million transistors on a single computer chip, and billions of transistors are manufactured every day," Jack Ward, curator of the online Transistor Museum , said in an interview. "Norm was the first to recognize the potential and led Raytheon to be the first major transistor manufacturer." As of 2012, the highest transistor count in a commercially available CPU is over 2.5 billion transistors, in Intel's 10-core Xeon Westmere-EX. Nvidia currently holds the "world-record" for a GPU containing 7.08 billion transistors. 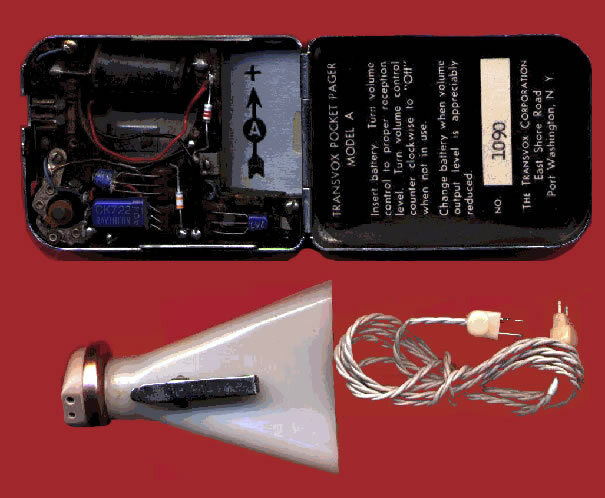 Thousands of hearing-disabled people benefited from Mr. Krim's initial use of the transistor in compact hearing aids. But not every transistor Raytheon made was suitable for them, he found. "When transistors were first being manufactured by Raytheon on a commercial scale, there was a batch called CK722s that were too noisy for use in hearing aids," said Harry Goldstein, an editor at IEEE Spectrum, the magazine of the Institute of Electrical and Electronics Engineers. So Mr. Krim contacted editors at magazines like Popular Science and Radio Electronics and began marketing the CK722s to hobbyists. "The result was that a whole generation of aspiring engineers — kids, really, working in their garages and basements — got to make all kinds of electronic projects," Mr. Goldstein said, among them transistor radios, guitar amplifiers, code oscillators, Geiger counters and metal detectors. "A lot of them went on to become engineers." Mr. Ward called Mr. Krim "the father of the CK722." Before the transistor, Mr. Krim had already made significant contributions to the industry. 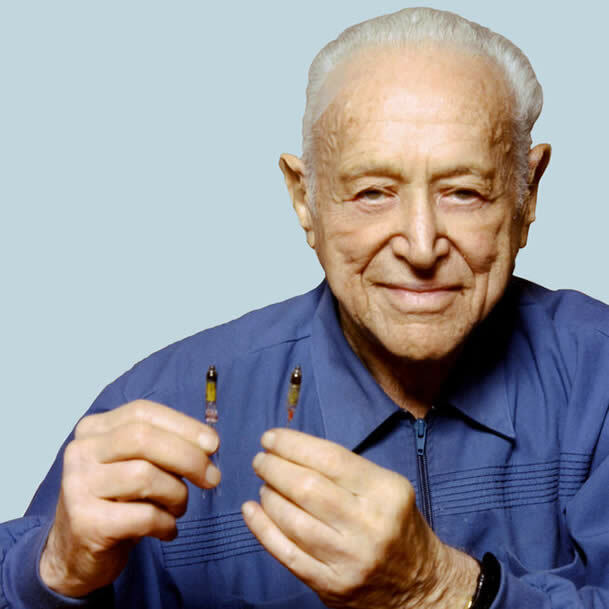 In 1938 he led a Raytheon team that developed miniaturized vacuum tubes for use in battery-powered radios. He also realized that the small tubes could replace cumbersome packs that hearing-aid users had to strap onto themselves in those days. "Zenith, Beltone, Sonotone are some of the American companies that used his improved, more affordable hearing-aid technology," said Chet Michalak, who is writing a biography of Mr. Krim. "His devices were about the size of today's hand-held phones." They were also a precursor to the transistor hearing aid his team later developed. Norman Bernard Krim was born in Manhattan on June 3, 1913, one of four children of Abraham and Ida Krim. His father owned several luncheonettes. 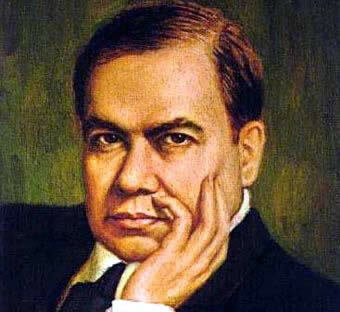 By the age of 12, he was tinkering with the refrigerator motor in his home. After graduating from George Washington High School at 16, he was accepted at the Massachusetts Institute of Technology, where in his junior year he built an "electrical brain" that, according to newspaper articles at the time, seemed to be able to make childlike choices, deciding whether it preferred beets or spinach, for example. "He considered it a carnival act," Mr. Michalak said. Raytheon hired Mr. Krim after his graduation in 1934, at 50 cents an hour. By the time he left the company in 1961, he was vice president of the semiconductor divisions. Mr. Krim's wife of 52 years, the former Beatrice Barron, died in 1994. Beside his son Robert, he is survived by another son, Arthur, and four grandchildren. 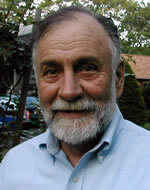 Another son, Donald, a leading film distributor, died in May. After leaving Raytheon, Mr. Krim bought two electronics stores in Boston called RadioShack. By the time he sold the business to the Tandy Corporation two years later, it had seven stores; today the chain has about 7,300. By 1952, Raytheon was making thousands of the its new alloy junction transistor every week. 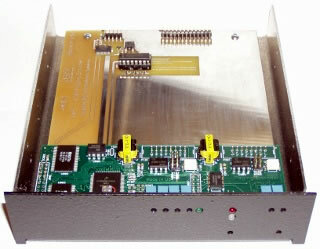 These were tested for a variety of parameters, such as power gain and noise factor. The primary market for these transistors was for hearing aids, which consumed an average of 70,000 Raytheon transistors a month in 1954. Only about 1/2 of the early Raytheon transistors which were tested to be functional performed well enough to be used in hearing aids; this market required relatively high gain and low noise factors in order for the resultant hearing aids to meet acceptable quality levels. This meant that there were literally thousands of functional Raytheon junction transistors available for the general use (not hearing aids). These transistors were further tested and sorted into different performance levels, with the resultant transistors being assigned model numbers depending on performance. Models CK718, CK721 and CK722 were the initial unit types identified, with the CK718 meeting strict hearing aid requirements, the CK721 providing moderate gain and noise factor - the CK722 was the model number assigned to all the remaining functional units which met the minimum acceptable gain requirements (minimum power gain of 30db and noise factor of 22dB). The First CK722s Cost 12.00. The CK722 Price Was $7.60 in February 1953. 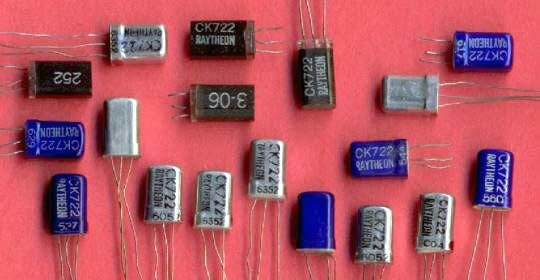 The CK722 Was The First $1.00 Transistor (1956). By the Early 1960s, Surplus CK722 Type Transistors Cost 10 for $1.00. I believe I built the first transistor radio in this little country town where I live (Fairfield, Illinois) when I was 12 years old and in the seventh grade. It used the famous CK722 —it was in a kit that I ordered from one of the Popular or Radio, Electronics magazines. That would have been about 1954 and the CK722 probably cost about $3.00 back then. I found an old book and hollowed it out the insides using my scroll saw. I hid the radio inside of the book and took it to school with me. At school, I went around connecting an "alligator" clip, connected to the antenna lead, onto various metal objects, and occasionally I was able hear the local AM radio station on a little ear plug. The station was WFIW — located a couple of miles east of town. It is still on the air. Today (April 25, 2014) is my 72 nd birthday, and I still haven't gotten over the thrill of that early radio. My love of radio communications and my work in electronics took me all around the world, several times, ultimately to over fifty countries. I can't believe it has been 60 years since I started building radios. This is from the Poneman Institute's study. They conveniently leave out the type of paging system being used. They also assume each clinician wastes the same amount of time in every facility. The obvious solution is to send them all to lunch during the 46.2 minutes they are doing absolutely nothing. P.S. I wonder how the institute would rate traffic lights? 50% of a driver's time is spent sitting still while cars are moving in other directions. Fleeting from me forever now!